What I like about networking is meeting new businesses & chatting about them, their activities, challenges & opportunities. We talk about the work I do & I often hear about their own environmental activities. It’s pleasing to hear how companies are recycling their waste or using low energy lighting. They are beginning to see the benefits that putting the environment into the business generates. But they realise they’re not as successful as they could be. Energy prices are still spiralling. Legal issues keep cropping up. Customers want more & more information. Staff don’t seem to be engaged. What they haven’t realised is that putting in an Environmental Management System can help address these problems. It gives the structure to manage impacts, find efficiencies & savings, get staff involved & communicate with their stakeholders.  Seeing as most companies get started on the environment because their customers demand it, it makes sense to put in an Environmental Management System & then shout about your successes. Having a formal certification to ISO 14001 shows your customers what you’re doing. It demonstrates that you are meeting their requirements & reflect their own values. It makes it easier for them to buy from you. In the competitive world of business, having some sort of advantage helps you win business. ISO 14001 is often asked for in tenders or to be on approved suppliers lists. For Case Studies and Information Sheets, please see the Resource Centre.